What English Bible translation should I use? Why do I not promote the KJV version? Is the Russian Synodal Translation the only option for Russian language? One of the most common questions I am asked when I travel and speak at Slavic churches is what English Bible translation I recommend. Most Slavic church leaders and pastors read a Russian version of the Bible, and therefore do not have a recommendation of an English version. Time after time, I’m finding young kids coming in to church with either a New World Translation (a manipulated translation by the Jehovah’s Witnesses) or a King James Version (KJV), though a great translation, its a version that most kids will not understand and will most likely lead them to not enjoy it and not make a daily habit of reading it. So is there just “one” version that I can recommend? My answer is “depends.” Depends on what kind of reading and studying you want to accomplish. There are 3 different “types of translations” available, which is explained below. I think every believer who is serious about studying the Bible should own at least 2 of those types; one formal equivalence (word-for-word) translation and one functional equivalence (phrase-for-phrase) translation. As to which specific word-for-word translation I recommend, read further down. WHY ARE THERE SO MANY TRANSLATIONS? One of the most frustrating discoveries for immigrants and learners of the English language is the discovery of the vast amount of translations of the Bible available. But, the reader must understand that the original books of the Bible were not written in English. The Old Testament writers used Hebrew, a Semitic language written from right to left with no vowels. The New Testament writers wrote in Greek. Translators have to read the original language, and determine how to interpret it into English. That process is very complex, and the interpretations often times depend on the interpreter, his or her intentions and motives. Scholars and interpreters also differ on how a translation should be done: should the focus be on word-for-word or thought for thought and the clarity of the English expression? If the emphasis is placed on exactly following the wording of the original languages, readability suffers. If the translator stresses readability, literalness is sacrificed, and much more interpretation takes place. Also, any language, including the English language, changes over time, leading to the need for updates of previous versions or entirely new ones. Relies more on the “reader” for interpretation (keep in mind, there are many different kinds of readers). Because many Slavic believers are conservative in theology, they are more prone to come across fundamental Baptists who are strict, “KJV only” believers, and quickly become KJV fans only because of the comments they read. And in many Slavic circles, non-English readers are promoting KJV whole-heartedly because of the desire to align with conservatives, without much background or in-depth research. The KJV was translated in 1611. There are over 300 words in the KJV that no longer mean what they meant in 1611. In addition to the constant use of thees and thous, a lot of other expressions are no longer used or now have different meanings. Languages, expressions and meanings change. Here are some examples: do you know what these expressions mean? “Thou hast possessed my reins” (Ps. 139:13). “The instruments also of the churl are evil” (Isa. 32:7). “Isaac was sporting with Rebekah his wife” (Gen. 26:8). “By his neesings a light doth shine” (Job 41:18). “Ye have respect to him that weareth the gay clothing” (Jas. 2:3). In many places in Paul’s letters, the KJV reads, “God forbid!” But the original has neither “God” nor “forbid.” Literally, it says, “May it never be!” A literal reading of “God forbid” can lead to very different theological conclusions. Do you understand these phrases? Why force kids to try to understand these phrases? Certainly, the KJV has had the greatest impact in shaping the English language. And for centuries, it was the standard translation. Overzealous fans of KJV will even say “if it was good enough for Jesus, why isn’t it good enough for today,” yet Jesus never used the KJV. What most people don’t know is that the KJV of today is not the KJV or 1611. It has undergone three revisions, incorporating more than 100,000 changes Also, the KJV was translated from manuscripts that were not of the “earliest” manuscripts discovered. Since 1611, there have been many earlier manuscripts discovered which translators have benefited and used as resources in newer translations. 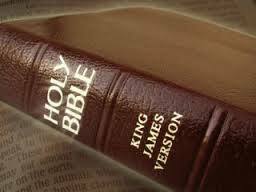 If one wishes to use a Bible that follows the same Greek and Hebrew texts as the KJV, I recommend the New King James Version (NKJV). Dont get me wrong. At times during Bible study, I do go to the KJV and see how that version translates a certain scripture. But, even with a Bachelor’s degree from a University, I dont understand the KJV when I read it. WHAT WORD-FOR-WORD TRANSLATION DO I RECOMMEND? Because all translations must interpret, the use of several versions will call your attention to alternative readings of the text, and might highlight different aspects of the scriptures that another reading might not. In all serious study, look at several translations. As for a churches, I believe it is wise to recommend one or two specific translations. During the message, several versions can be read and mentioned. But, it would be wise for the church to choose one translations, and use it for displaying on printed materials, slides, message outlines, and during public reading. 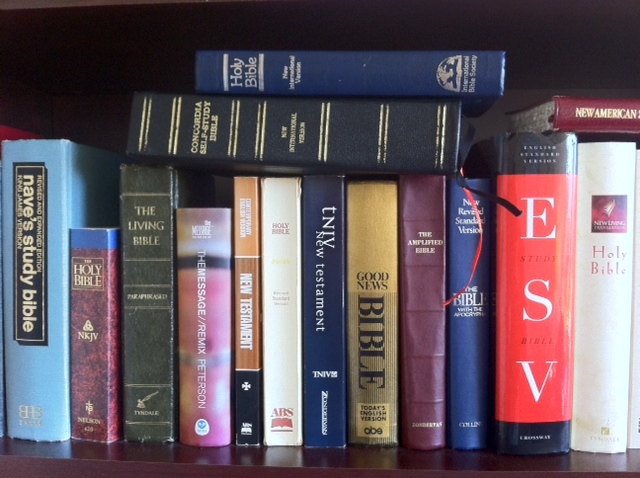 Here are the three versions I recommend: ESV, NASB, NJKV. The version I currently use the most during daily reading and Bible study is the ESV version. A church can also recommend and use the NIV as their primary translation, because it is easier to read for a younger audience, & it is widely available. It is a great phrase-for-phrase translation. But, I would then also recommend a word-for-word translation to the members who want to do a deeper study. A word of caution concerning the NIV, their NIV 2011 version is “gender-neutral.” Though most scriptures are “gender-neutral,” I believe that some of Bible’s teaching on gender roles is affected by these changes. Also, the TNIV has changed some specific terminology (instead of “the Jews,” it will read “the Jewish leaders,” and when “Christ” is used as a title, they substitute is with the “Messiah”). Such interpretations can be misleading, and go beyond just translating. Therefore, when recommending the NIV version, I’d recommend the older NIV translation. Some versions don’t interpret—they distort. Some are notorious for omitting references to Christ’s blood, or for attempting to deny his deity. In these instances, the translators are neither faithful to the form or the meaning. They have perverted the Word of God. the lack of genuine biblical scholarship, the New World Translation is a bad translation and should not be used. Its spoken of as a word-for-word translation, and in many cases is literal to the point of being terrible English. But, at times, the Jehovah’s Witnesses twist the text and resort to an interpretive type of translation, to fit their teaching. As mentioned, for those who read Russian, the Russian Synodal Version (RST) is the standard translation and is used by the Russian Orthodox Church, Protestant denominations (Baptists, Pentecostals), as well as the Roman Catholics. That translations was published in 1876. The Old Testament is based on the Jewish Masoretic text, while the New Testament is based on the Greek printed editions of that time. There are some scriptures in the Russian Synodal Translation that are really hard to understand, and instead of trying to find ways to justify that scripture, a different translation would remove the confusion. For example, in James chapter 1, the words “temptation” and “testing” is used several times. In 1:12, the word “temptation” is used instead of “trial,” which can easily confuse the reader. Modern Russian translations like Slovo Zhizny (SZ) or the Russian New Testament (ERV-RU) make that change, and take away the confusion. The above 2 examples from the Russian Synodal Tranlsation is meant to encourage all Russian readers to give other versions a chance. If something in the RST does not make sense or is unclear, check another Russian translation, or compare it with several other English translations. The RST is not THE ORIGINAL Bible. But, there sure is great benefit to most Russians having one main version, which is especially evident when there is public scripture reading, scripture memorization, and scripture reference. That is something English readers and congregations miss out on, with such variety and number of translations used in the same congregation. WHAT ABOUT “THE MESSAGE” OR OTHER PARAPHRASE TRANSLATIONS? Some Christians have made it their life mission to discredit paraphrase translations, like “The Message.” But, I believe if a paraphrase like The Message is treated like a paraphrase, it can be of great blessing and benefit. 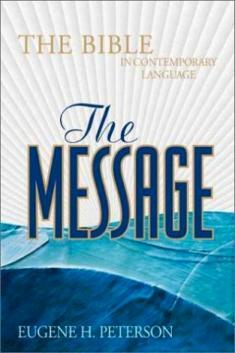 The Message is not a paraphrase of some anti-God book, it is a paraphrase of the Bible. Reading a paraphrase can lead you to further study of the Bible, or can highlight thoughts and areas you haven’t considered about a certain scripture. A paraphrase cannot take place of a word-for-word translation, but can serve as a blessing to many readers. Enjoy it, when you can. Questions or comments? Would love to hear from you below! Thank you for this article, it cleared up some confusion I had in regaurds to the different translations. What is your view on the HCSB? Sergi0, HCSB is one of the versions that I hear from my friends at times about, and though I havent personally read it to comment on it, it could be a great version. I would personally hesitate to recommend it to the whole church and use it as the standard version for public reading, printed material, etc – because it is not widely available, and in different formats. People like to have options when buying and reading a personal bible (text size, hardcover/soft cover/different types of leather, etc), and if we are recommending a version that is not widely available in different formats, they’ll choose another version, which could be an issue (unless they choose another great version). As a church leader, Id choose one great version that is more widely available and in different formats. I have a question for you and something I’d like to share if you wouldn’t mind sending me a note. I can’t find a way to contact you on your site. If you don’t have easy access to my email that I’ll put in the form below, please use my linked website to send me a note. Excellent article Russell, I learned some new things about the Russian Translations, and had no clue that kids were showing up to church with the New World Translation. If I remember correctly, there was a legal battle that took place that involved the Jehovah’s Witnesses, and their “Greek scholars” we summonsed to court. Upon interrogation, it became apparent that these scholars did not actually know biblical Greek well, and were simply making adjustments on the fly. in languages which the New World translation is unavailable. The NWT is prefered by JWs, but they can read other versions. I have seen them do it with my own eyes and ears. Hi Russell! It was very interesting to hear your thoughts about which Bible to read. Contrary to what you may believe the new versions truly are changing the actual meaning of the Bible itself as God meant it. It has HUGE changes from the KJV. As you are sharing such an important thing, I would HIGHLY recommend for you to listen/watch this video with an open mind and whoever else may be interested in finding out which Bible they should be reading.